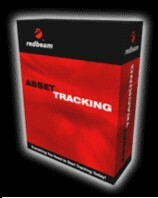 Track computers, equipment, furniture, vehicles and other valuable assets using this comprehensive PC application and an easy-to-use barcode scanner. 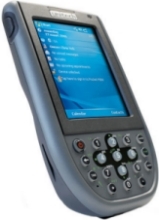 Track computers, equipment, furniture, vehicles and other valuable assets using this comprehensive PC application and an easy-to-use barcode scanner - Standard Kit includes software and a USB Barcode Scanner. 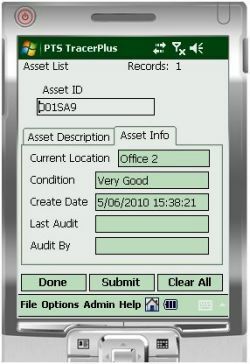 Asset Tracking - Track computers, monitors, desk and office equipment and upload the data right into an Excel spread sheet - Using the TracerPlus Professional Data Collection Software we provide you with a tracking application that can be easily customized - runs on a Mobile Windows or Windows CE Terminal -- Barcode ready -- Application includes three data tables for the New Assets, Asset Auditing and List of Current Assets - Import and Export capabilities allow you to track your attendance in your own Excel spreadsheet.